We make art buying fun...not intimidating. Ann W. Masciarotte leads Whitney|George's team of consultants and project managers from our main office in Dallas, TX. 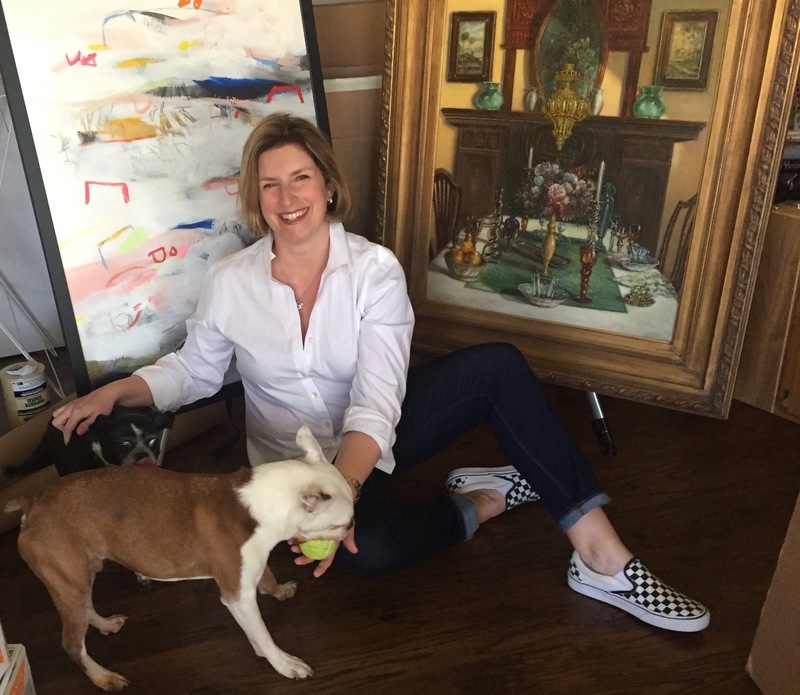 Whitney|George Fine Art Consultants was born of her belief that fine art doesn’t have to be expensive or intimidating, and that it should be a prominent part of every home and interior space. Coming from a family of artists and collectors, and being an avid, lifelong collector herself, Ann founded the firm to bring to others the joys of living with original art and supporting living artists. In a detached world full of mass-produced, disposable "stuff," our mission is to shift our mindset to one where we appreciate and value things that take time, talent and vision to produce. Fine art is one of those things, and it is our favorite thing (aside from pizza...we love, love a good pizza). Fine art can have a visceral effect on the viewer. It can also transform, personalize, and elevate a space in a way nothing else can. We at Whitney|George scour the globe to find pieces that fit our clients' style, personality and price point so that they, too, can experience the joy of owning fine art. Our consultants work with homeowners, interior designers and architects to find original fine art for their residential and commercial spaces and projects. For homeowners, our consulting services alleviate the pressure and intimidation of working with galleries or approaching artists directly. We are also able to source original art at price points below what you would find even in the most reasonable gallery. Many times we can find original art below the price of a high-end print (so call us before you pull the trigger at Restoration Hardware, Neiman Marcus or Williams-Sonoma Home, etc.). Perhaps more importantly, we are also able to help our private clients hone in on the the type of art that resonates with them and align that with the pieces and decor they already have in their homes. One client once described us as "art sommeliers," and we think it's an apt description. For designers and architects, we serve as a resource that bolsters the level of service they are able to offer while making their lives and projects less hectic. For one, we are able to source unique, fine art that will differentiate their designs, and maximize visual appeal and client satisfaction. Secondarily, we know designers are busy. We also know that those who partner with us save considerable sourcing time and effort, run more efficient and profitable projects, and emerge with elevated final products and more satisfied clients.